When a marriage or relationship breaks down, grandparents are often called upon to assist their son or daughter either financially or in matters concerning the children. Sometimes grandparents can lose touch with their grandchild(ren) as a result of a relationship breakdown, causing distress to everyone involved. Essentially, grandparents have no legal right to see their grandchild(ren). 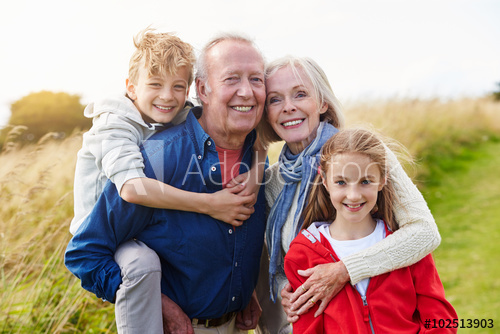 But, if they are not having any contact with their grandchild(ren), grandparents can apply to the Court for a Child Arrangements Order.Even if grandparents are taking care of their grandchild(ren), they have no legal right to make important decisions about their upbringing as they do not have Parental Responsibility, unless this has been granted by the Court. This means, they are in a very difficult situation as they cannot make decisions about medical treatment and education. If grandparents are not able to see their grandchild(ren) because one or other of the parents refuse, they can make an application to the Court for a Child Arrangements Order. First, they need to ask the Court for permission (leave) to apply. If the grandparents have always had a good relationship with the grandchild(ren) this is usually just a formality.The Judge would then need to decide what contact, if any, would be in the best interests of the grandchild(ren). As with any applications under the Children and Families Act 2014, the Judge would look at a number of factors contained in the Welfare Checklist. If the child(ren) already lives with the grandparents, or the grandparents feel that it would be in the best interests of the child(ren) to live with them, they can make an application to the Court for a Child Arrangements Order. They would need to ask for Permission (leave) to apply first.As with an application for Contact, the Judge would need to decide what would be in the best interests of the child(ren) in line with the Welfare Checklist.If a Child Arrangements Order is granted and the children are to live with their grandparents, the grandparents would share Parental Responsibility jointly with those who already have Parental Responsibility (usually the mother, and sometimes the father). Special Guardianship can provide grandparents with a special form of Parental Responsibility allowing them to make important decisions about the welfare of the children, excluding others who might also have Parental Responsibility.This is a very complex area of law.Contact us today for a FREE initial consultation.